Everyone around the table is smiling and laughing. This evening, three young female backpackers are just back from sightseeing, and naturally join in at the small table. They are like a big family, and the center of this family is Maki, the proprietress of Katsuo-Guesthouse. “Ryu-ga-do”, answers one girl from the group of three. “Oh yes, and, how was it?”, Maki continued. “Lots of fun! And we felt that it was closer than we thought.” the girl said, and talking went on. They came from other prefectures, using a paid vacation. Tourism in rural areas is currently experiencing a “backpacker tourism” boom. Backpackers aren’t usually rich, but their strong interest in practical experience and philosophical quest fit better with the quiet atmosphere of rural areas than with the city. As more backpackers around the world stay in rural places, the much attention rural places get. Tourism in Kochi is slightly on the rise but foreign visitors are still few. According to statistics, 17,190 foreign visitors came to Kochi prefecture in 2016, but in fact, this number represents only 0.2% of total foreign visitors of Japan. That means Kochi is an unexplored region for most foreign tourists. Unfortunately, few people know how good Kochi is. On the one hand, it is true that few people know what is Kochi, on the other hand, you can get lots of useful information about Kochi if you ask Maki in Katsuo-Guesthouse’s homepage. This hostel offers “Travel Concierge” service where you can get not only several detailed journey plans which reflect your needs, but also travel arrangements such as restaurant bookings. When travelers are in a real difficulty, they needn’t worry that they are not good Japanese speakers. “Although I can speak English just a little, I will translate your orders and tell them to the staff in front of you through your phone”, Maki said confidently. Kochi is suitable for those who want to know Japan deeply because its good points are recognized by repeat visitors inside and outside of Japan. 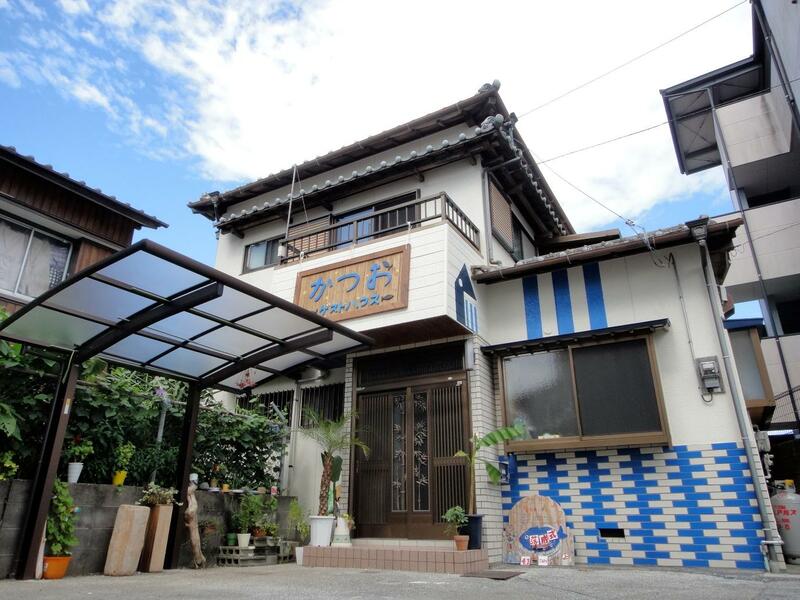 About 30% of guests of Katsuo-Guesthouse are people from outside of Japan. Moreover, most of them are backpackers who have come to Japan several times and love nature. Kochi has the most beautiful rivers in Japan and is famous for skipjack tuna in the Pacific Ocean. Furthermore, about 70% of Kochi is covered with　mountain forest. Although Kochi is a difficult place for people who can’t speak Japanese at all, it is worth visiting place for people who want to know Japan in terms of nature, local foods. Visitors’ curiosity multiplied by Maki’s support　make travel much more enjoyable. “I designed this guesthouse to gather guests at dining”, she also said. “And to appeal Kochi visually and effectively!”. Hence, both of many Japanese and foreign guests at this hostel want to revisit Kochi. Her goal is not only to tell as many people as possible how good Kochi is, but also to let them feel they want to settle in Kochi. Therefore, she is engaging in increasing the number of inhabitants in Kochi, through her original approach. Keyword is “happy encounters”, Maki said with a happy smile. It looks like a place where people share their happiness and spread it out. Good story. It must be a good way to expand relationships, and we can share many information and be easy to affirmative. It’s a way to experience cultures in kochi, and spread the good points about Kochi! It sounds like a warm and nice place to spread Kochi’s good point! Maki’s character might also attract many foreigners.